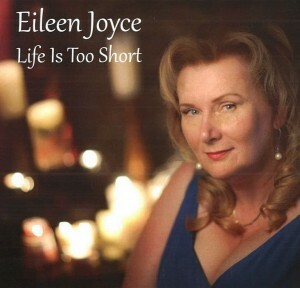 “Life is too short”, certainly a valid philosophical principle as well as a superb title for Eileen Joyce’s third and most recent contribution to the world of top caliber Blues. Previous albums include her first offering “No More Blue Tears” and East Coast Music Awards nominee second album “Blue Man”. Miss Joyce, with but a brief “Deviation” into the world of heavy metal back in the ‘80s has been crooning and belting out the Blues for over a decade now, wowing audiences with her power and vocal control and with her poised and entertaining between song expositions on life, love and family. And that’s the theme which links the nine songs on this album. Needless to say I felt very fortunate to have been invited to the launch of “Life Is Too Short” at the The Carleton in Halifax, Nova Scotia on October 4th. The songs speak to many different aspects of our time on the earth being much too brief. “Rolling in Sugar” tells us that life’s simple pleasures should be relished and enjoyed. Maybe we should give into temptation once in a while! In the catchy, upbeat “Just Me and the Boys” Eileen revels in the camaraderie and good times she finds in her music career. Speaking of which, “the boys in the band” include Dr. Bill Harvey at the keyboard, not only Eileen’s husband and an able and compassionate family physician but a major talent in the music world. Bill often jokes that he studied medicine so he could afford to be a musician. Among Eileen’s “other boys” are Ken Mackay, sax, Steve Preeper, drums, Bruce Timmins and Al Macumber on guitar and Chris Churchill on bass. In “Ain’t It Sad Sister” Miss Joyce speaks to the “loss of my sister and the knowledge she is still with me.” In fact the album is dedicated to two of her siblings, sister Anet Elizabeth Williamson and her brother Louis Rossi Williamson who were recently and tragically lost. 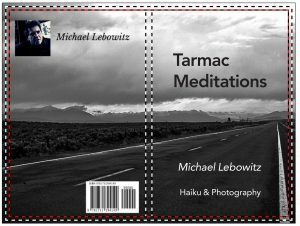 Special guests on this cut are Jackie Richardson and Lela Coles. Jackie is an award-winning vocalist who gained renown singing back-up with Ray Charles. Other songs deal with inspiration, both religious and secular and the concept that life is too short to waste, as Miss Joyce puts it, “on these who don’t love us and those we can’t fix.” One Vision” touchingly points out that life too short to allow us to neglect those less fortunate. Ironically Miss Joyce is currently dealing with a serious lung condition, herself, though you’d have doubted it from her vibrant performance. Her songs, her voice, her demeanor all reflect the sincerity and passion she puts into the album’s profound message, which is to simply treasure life and the good things in it, deal with the bad and most of all revel in the love of family and friends. Miss Joyce’s albums can be downloaded at I Tunes.